The company with expertise has offered ground-breaking technologies, service concepts and solutions tailored for local and global market. 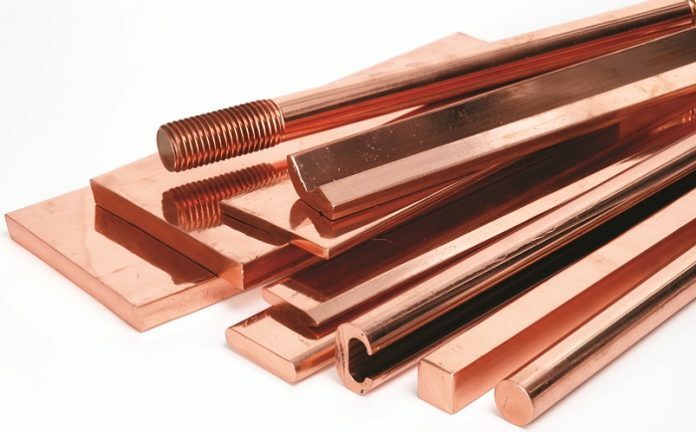 Citizen Metalloys Ltd., Gujarat, is one of the leading manufacturers of copper products like bus bars, rods, sections, components, earthing tape and pure copper earth rods covering every part of electrical transmission and distribution, power generators and electronics applications. The company with expertise has offered ground-breaking technologies, service concepts and solutions tailored for local and global market. They have been able to achieve electrical conductivity of 101 per cent IACS and oxygen content of less than 5 PPM. Citizen Metalloys have developed customised components which provides a speedy, convenient and economical solutions for electrical power, distribution and automation industries using many processes like cutting, punching, bending, plating, coating, sleeving, turning, tapping, twisting, milling, drilling, stud fixing, forging, forming, ultra-sonic wielding and specialised in cold forming. The company has an ISO 9001:2015 (Quality Management System), ISO 14001:2015 (Environment Management System) and BS OHSAS 18001:2007 (Occupational Health & Safety Management) and Government Recognised Star Export House. Today the company exports to more than 40 countries. They have been honoured with the highest export award for last five consecutive years through EEPC-Engineering Export Promotion Council of India and also awarded as best Export Performance (Emerging Company) World Non-Ferrous in 2017. The company has recently been rated by Dun & Bradstreet as SMERA MSE 1 for highest creditworthiness, financial strength and operating performance. Quality and Citizen Metalloys goes hand in hand. The company has very stringent policies to ensure strict adherence to quality maintenance. Identifying and “eliminating” quality deviations and failure causes at early stages, and extensive use of data feedback are the suggested tools to accomplish continuous improvements and to assure high-quality products. They follow the Kaizen and 5S methodology of total quality management to organise and manage the workspace and work flow with the intent to improve efficiency by eliminating waste, improving flow and process unreasonableness.